Beatport announced in August that part of its corporate restructuring would include new genre categorizations. In order to better focus on assisting electronic connoisseurs and artists alike, the company assembled a committee dedicated solely to placing tracks under their correct sub-genres, which would be updated every 6 months to further boost accuracy in labeling. 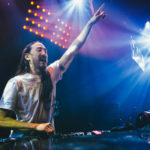 The first new genres have been officially unveiled as “future house” and “big room.” This development will be particularly relevant to anyone who enjoys “progressive house” in the traditional sense, which, up until this point, has housed artists like Martin Garrix and Dimitri Vegas & Like Mike alongside the starkly different styles of progressive played out by artists such as Eric Prydz and Guy J.
Beatport will also be making some changes to existing genres, such as electronica and electro house. In addition to the updates, which will roll out on September 12, 500,000 pre-existing songs will be recategorized as well. Read Beatport’s full statement below.